Seeing as how there is plenty of luck involved in poker (apart from skill), it is pretty hard to determine the world’s best poker player. Even still, most people would contend that Phil Ivey is the world’s top all-around poker player; those who tout Ivey as the best point towards the fact that he is experienced incredible success in every facet of the game. 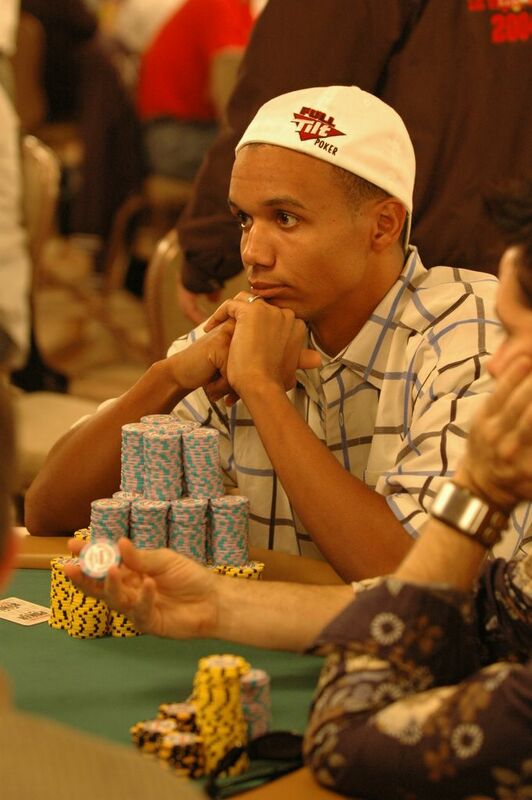 Phil Ivey was born in Riverside, California in 1976, and his family moved to Roselle New Jersey when he was a baby. At just eight years old, Ivey’s grandfather taught him the basics of poker. The most interesting part of these lessons was that his grandfather would cheat in an effort to teach young Phil the dangers of gambling. But as we now know today, Ivey was not scared off by the possibility of being cheated. When he got into high school, Ivey started playing poker against friends. Fueled by the success he experienced in these sessions, Ivey was determined to find bigger and better games. So he obtained a fake ID and started visiting nearby Atlantic City casinos under the alias Jerome; this part of his life earned Ivey the nickname “No Home Jerome”. As with all players, he took his lumps in the beginning and lost some money on the Atlantic City poker tables. But this was in no way a deterrent for the teenager, and Ivey eventually moved to Atlantic City by age 20 to continue improving his game. Just like most serious live poker players, Phil Ivey eventually succumbed to the inevitable and moved to Las Vegas in his mid twenties. It did not take long for him to make his presence known after winning a 2000 WSOP $2,500 Pot Limit Omaha event ($195k). The victory put him on the map, but his true breakout performance did not come until the 2002 WSOP. Here, Ivey managed to join a very elite group by winning three WSOP gold bracelets. His bracelet wins included the following: $1,500 Seven Card Stud ($132k), $2,500 Seven Card Stud Hi-Lo ($118k) and $2,000 Limit S.H.O.E. ($108k). After having a couple more successful years, Phil would experience yet another breakout in 2005 when he won a WSOP $5,000 Pot Limit Omaha bracelet ($636k), a 2005 Monte Carlo Millions tourney ($1 million), and a Full Tilt Invitational tournament ($600k). Taking all of his victories into account, it is pretty clear that Ivey’s decision to move to Vegas was a good one. You do not get labeled the world’s best poker player by winning a few titles and then fizzling out. That said, Ivey has gone on to win several other big poker tournaments since the mid-2000’s. He took the 2008 L.A. Poker Classic title, which earned him a nice $1,596,100 payday. Ivey also added a couple more WSOP bracelets in 2009 after winning a $2,500 Omaha/Seven Card Stud Hi-Lo tournament ($221k) and a $2,500 Deuce-to-Seven Draw event ($96k). In all, he has won eight WSOP bracelets, which puts him fifth all-time. Along with the two bracelet wins in ‘09, Ivey also created quite a stir by making the 2009 WSOP Main Event final table, which rarely sees pros of his stature anymore because the field sizes are so large. He turned out a respectable seventh place finish, which was good for $1,404,114. More recently, Phil Ivey won the 2012 Aussie Millions $250k High Roller event, and this victory put another $2,058,948 in his bank account. As if his insane amount of tournament success was not enough, Phil Ivey is also one of the world’s best high stakes cash game players. Whether it is Macau or the Aria Las Vegas, Ivey can often be found winning millions of dollars in the world’s biggest poker games. His cash skills definitely translate well onto the cyber felt too because he has won more money than anybody else in online poker history with $19.2 million in profits. While it does not seem like Phil Ivey can lose on the tables, his personal life has been a different story – especially in recent years. First off, he has gone through a difficult divorce that saw lots of earnings go towards his ex-wife Lucietta Ivey. The divorce caused a lot of Phil’s financial information to be released to the public, such as the fact that he was receiving $920k a month from Full Tilt Poker’s parent company, Tiltware LLC. Speaking of Full Tilt Poker, Ivey’s involvement with this site put him under a lot of scrutiny when they went down along with player deposits. People widely questioned Ivey’s knowledge of Full Tilt’s troubles, and they ridiculed his craps habit too. Despite the criticism about his personal life, nobody discounts Phil Ivey’s abilities on the poker tables. – With $16,021,839 in live poker tournaments winnings, Ivey ranks second all-time in this category. – Phil Ivey has made a record 9 World Poker Tour final tables; his 2008 L.A. Poker Classic victory represents the lone time he won during these appearances. – With over $19.2 million in online poker cash game winnings, Phil Ivey has over $7 million more than Patrik Antonius, who is the next closest with $11.8 million in earnings. – Ivey helped develop the revolutionary software at Full Tilt Poker before the company went under and was later bought by PokerStars. – He is currently the owner of IveyPoker.com and is the face of the site.